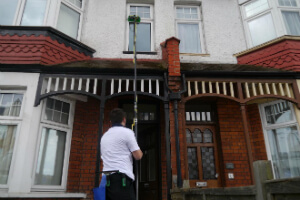 Industrial & Residential Window Cleaners Camden NW | Quality Property Care Ltd. 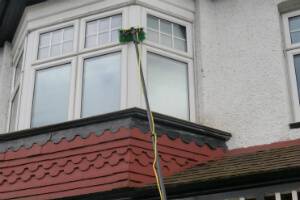 Enjoy a lot more than just qualified window cleaning, give Quality Property Care Ltd. a call and book the best window cleaning in Camden NW at a reasonable rate. Fully capable and equipped, we will leave no spots behind, taking away not only grease, but built up mud, grime, dirt, fine powder, mud, rain residue, fingerprints and a lot more. Conservatories and conservatory rooftops too. Secure rope access window cleaning, 100% chemical- and danger free cleaning! To achieve our well-known outcomes we use a simple water-purification technique which strips away regular tap water from its minerals. This leaves it a bare H2O molecule which is a lot lighter and sticks a lot more to dirt, grime and mud. The approach is a very efficient way of cleaning away even the dirtiest of window surface types and can reach up to 4 stories in height. Applying a telescopic water-fed pole we clean the window sills and windows from the bottom to top using only water, no detergents as they bring in even more dirt if not rinsed with water. Furthermore detergents may have corrosive properties on PVC surfaces and cause the gasket and seals of the windows to rot and decay faster. The length of the water fed pole allows us to clean industrial buildings without having to use a ladder or ropes. Rope systems are available for commercial clients, get in touch with us at 020 3746 4287 for more info. For the cleaning Quality Property Care Ltd. professionals use plain water from the tap, it passes through a few filters located inside the van, they strip the water from its miners and other chemical substances, leaving it pure. This pure water does not react with the filth on your window but strips it away softly and without damaging neither the glass nor the sill or frames. It is suitable for the leaning of all window kinds, it does not leave a chaos aside from a puddle and it is aroma free. To book us give 020 3746 4287 a call where a crew of professionals is waiting to assist you anyway they could. Get in touch with us free of charge at the given number to receive solutions to questions and book the best cleaning support in London.